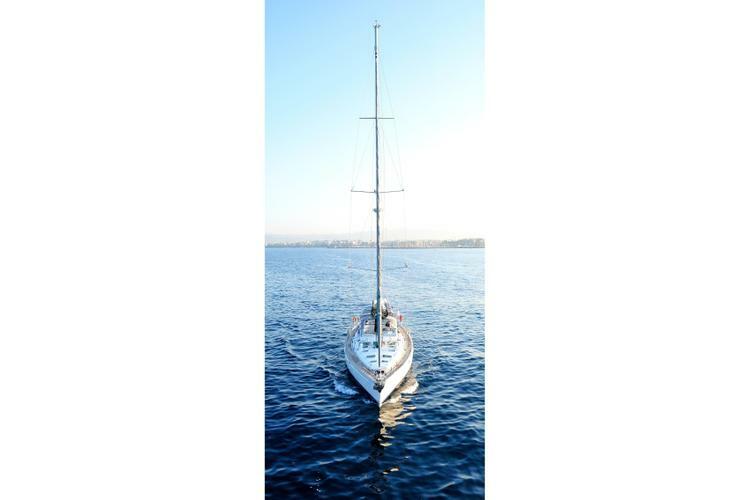 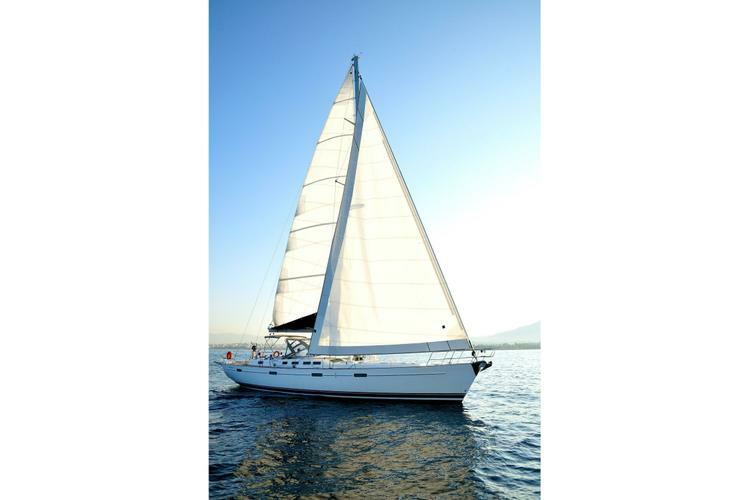 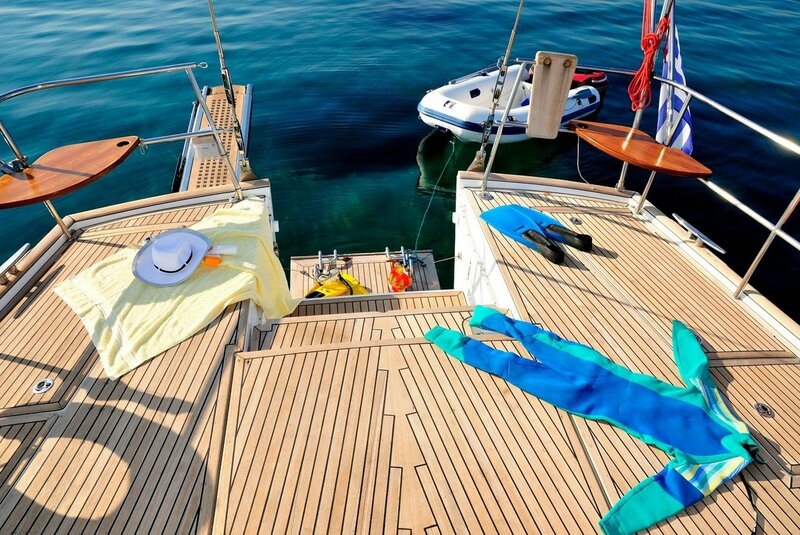 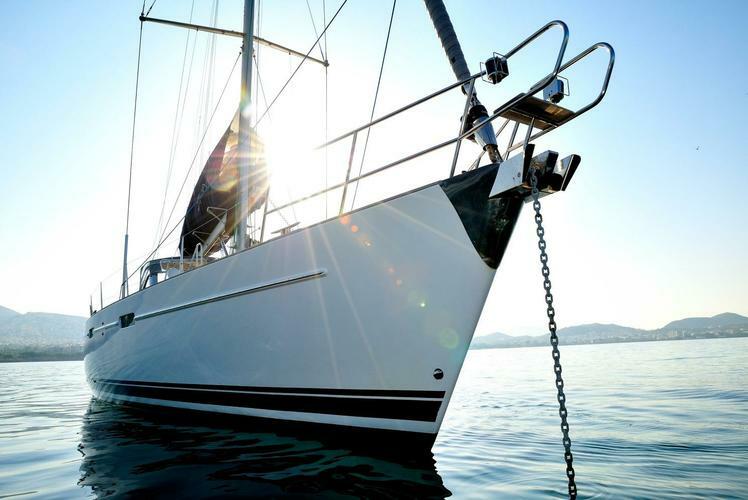 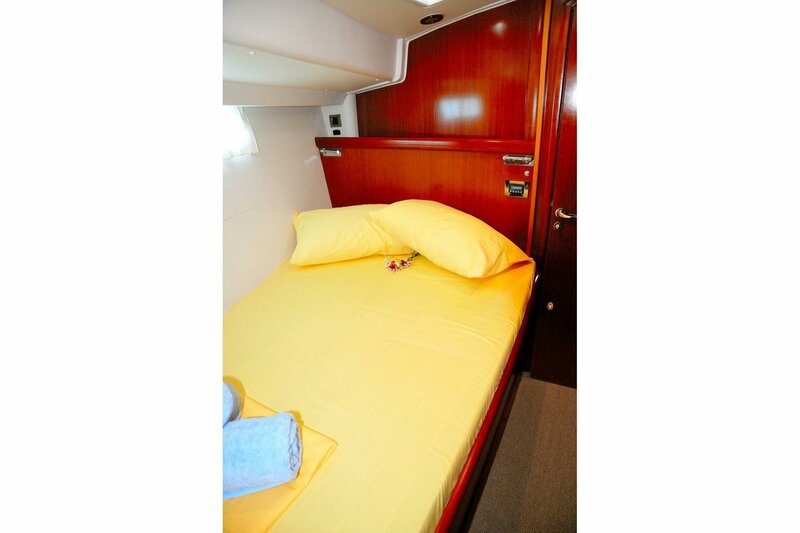 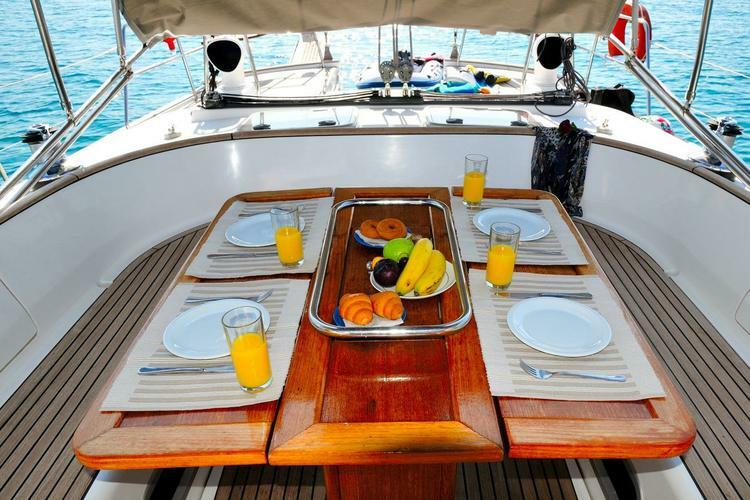 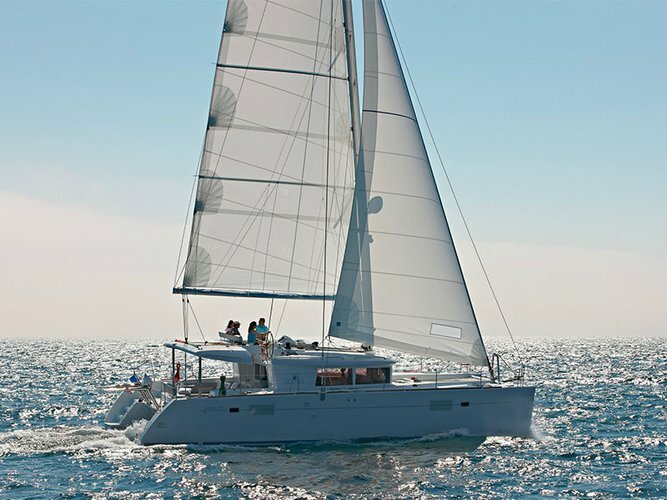 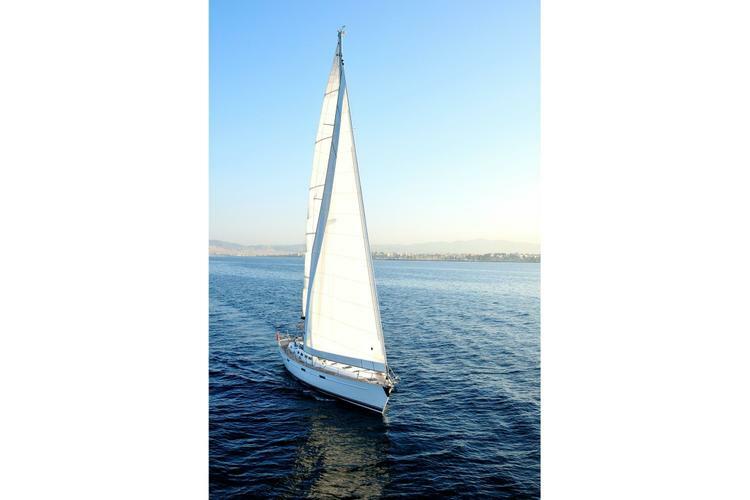 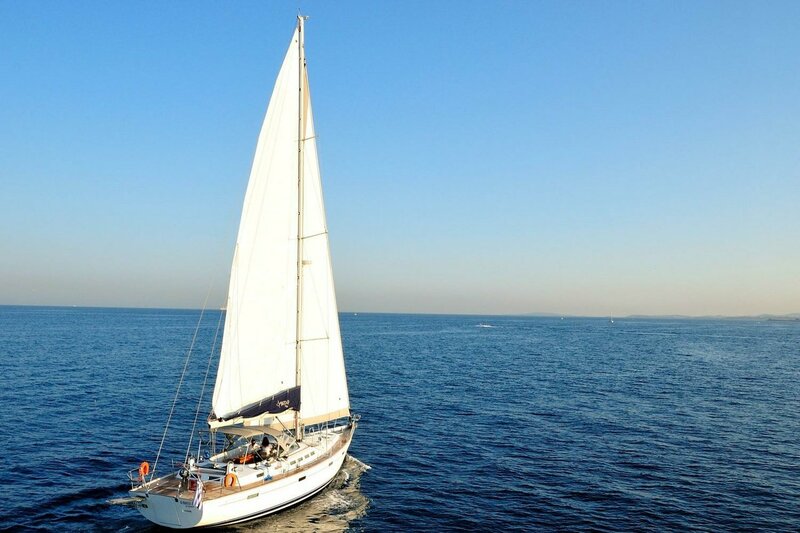 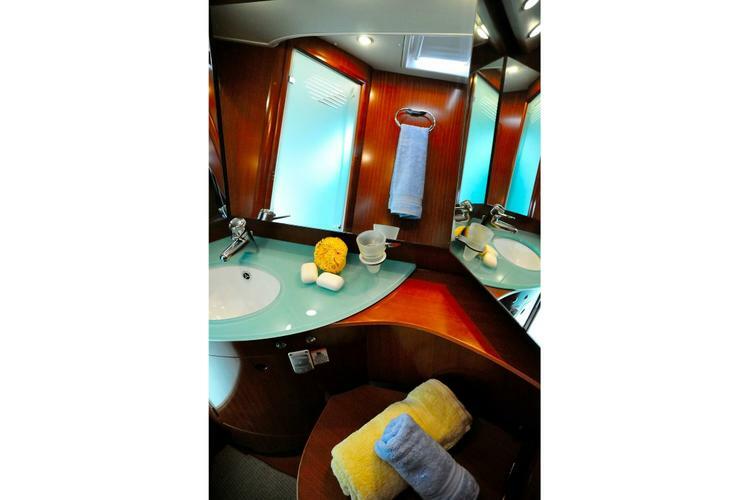 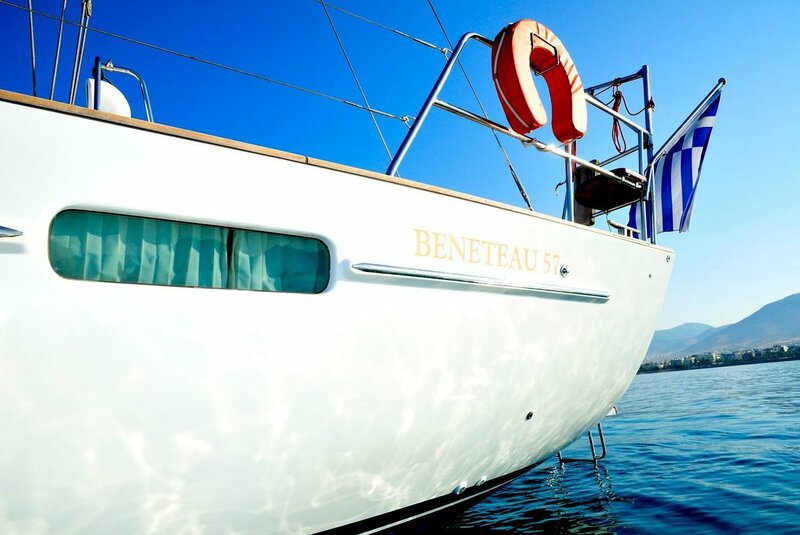 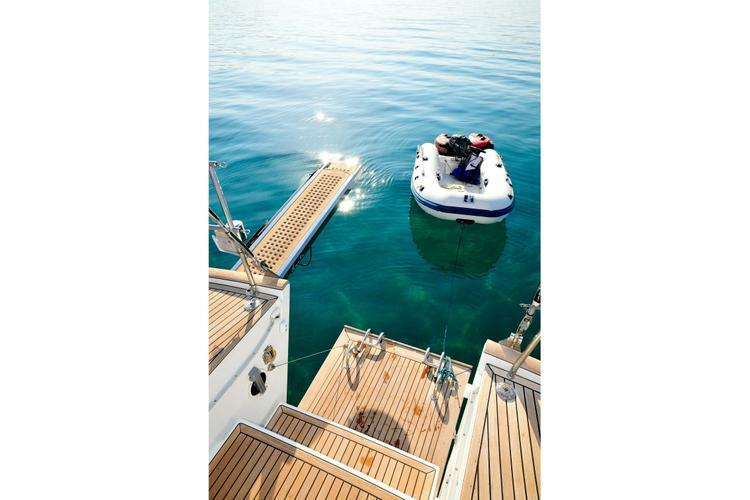 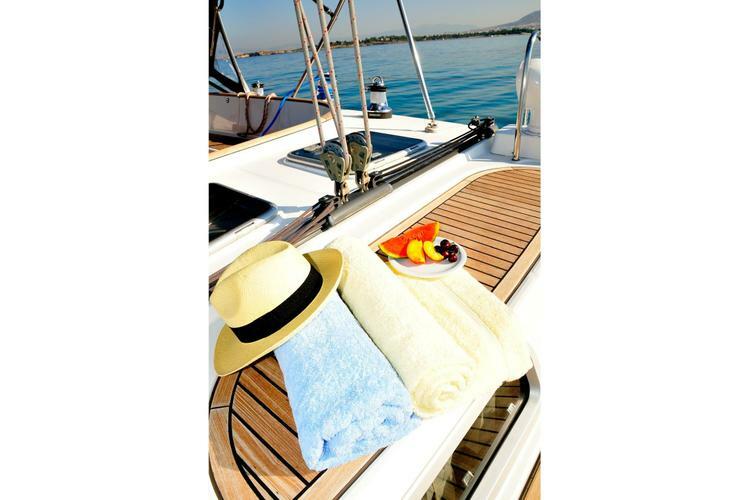 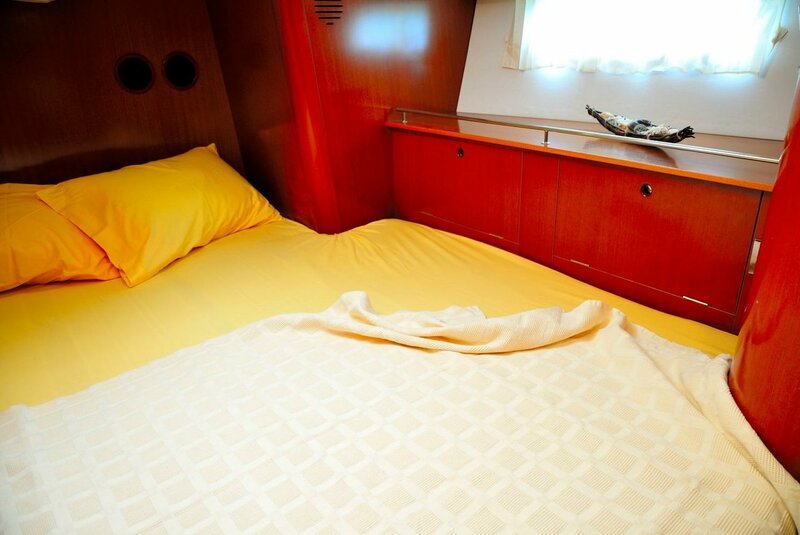 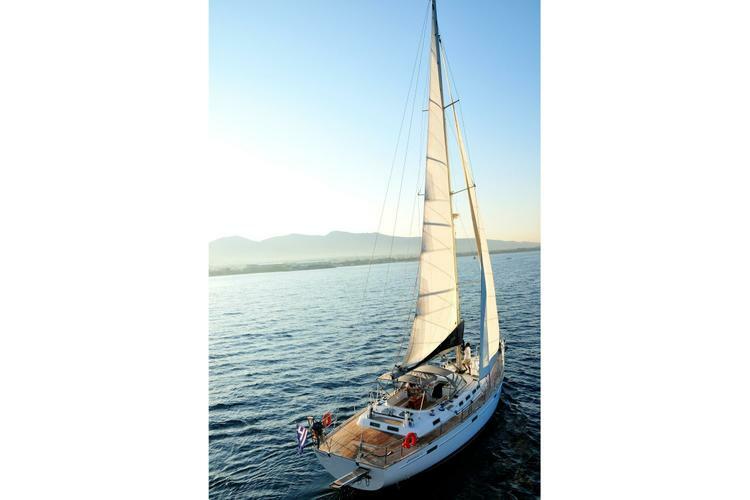 This beautiful sailing yacht offers accommodations for up to eight guests. 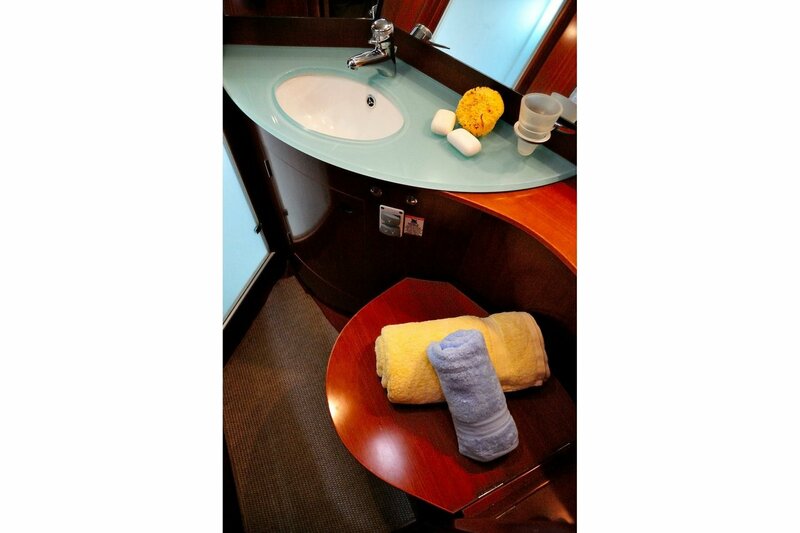 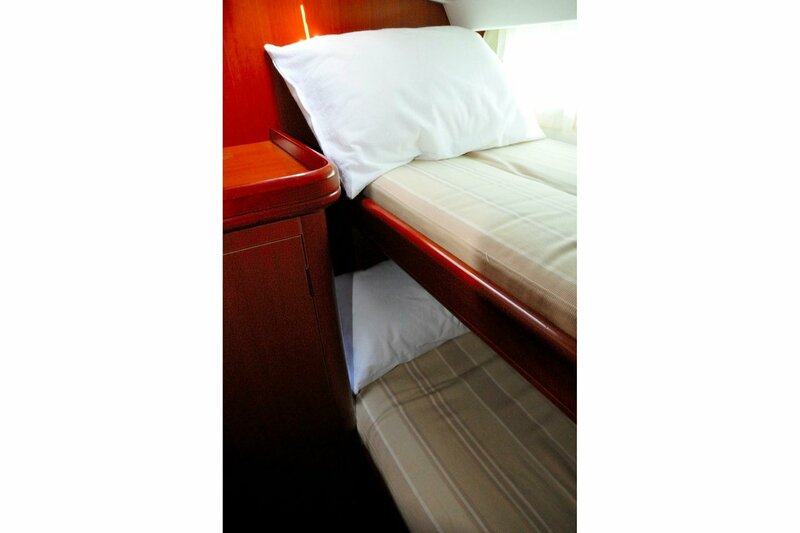 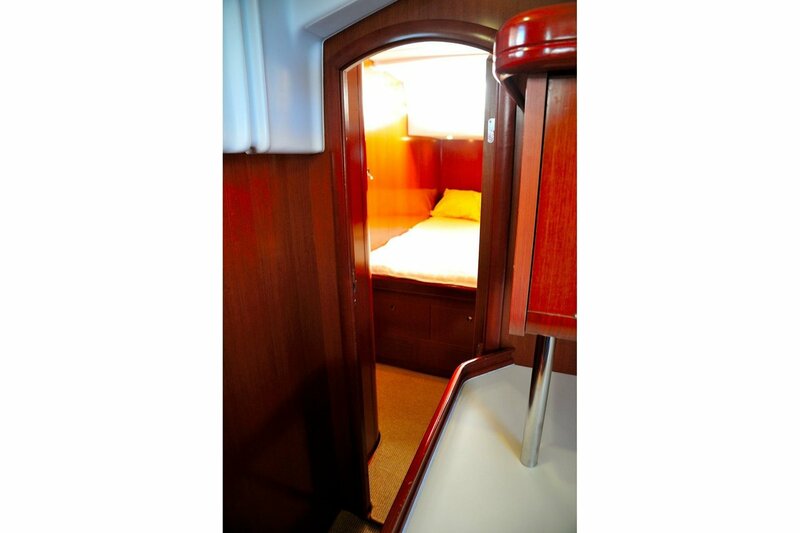 The cabins are spacious and each feature their own head. 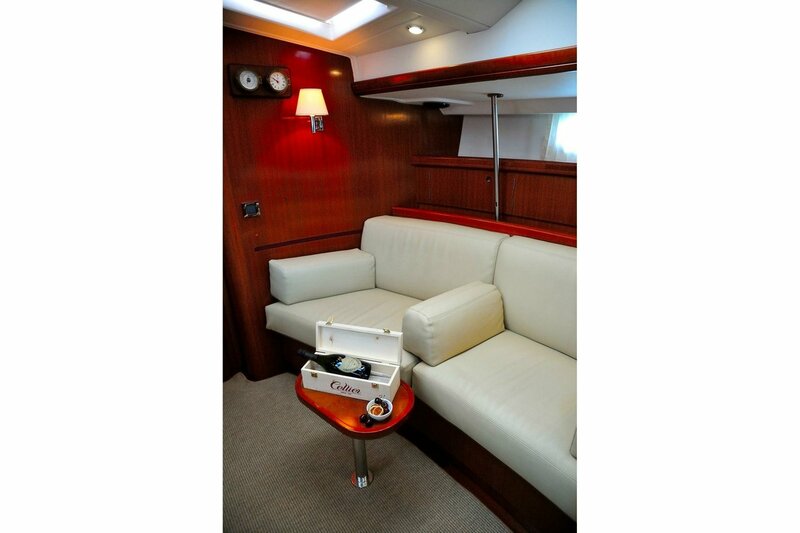 You will enjoy the option of air conditioning for those extra hot days. 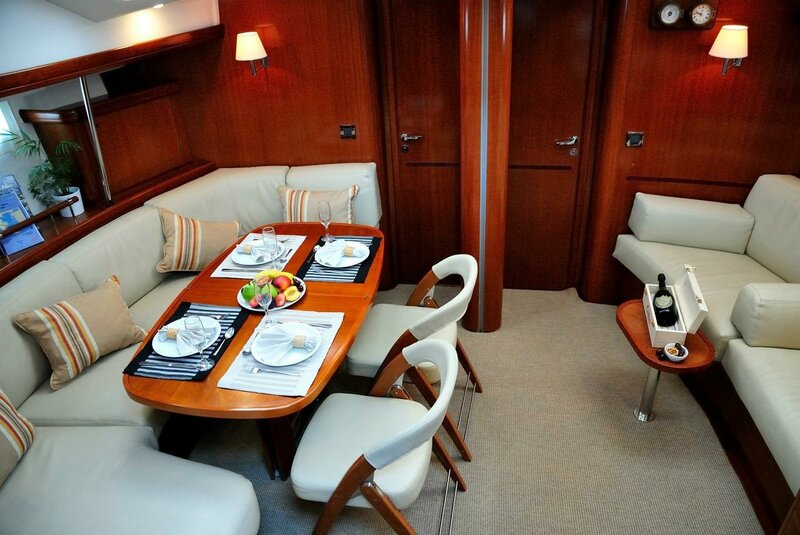 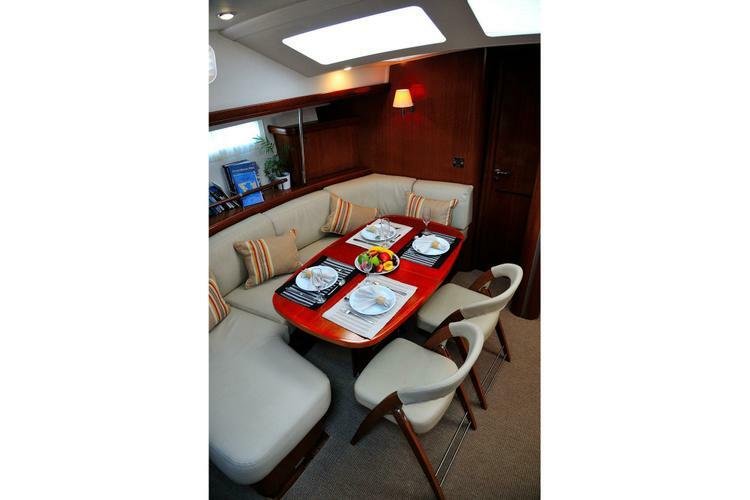 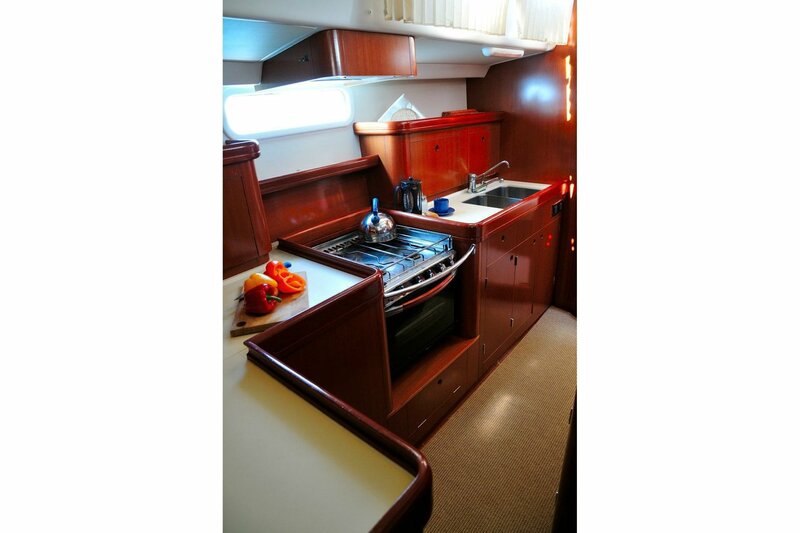 The boat also has a TV and DVD player for those rainy evenings aboard. Snorkeling and fishing equipment are available as well. 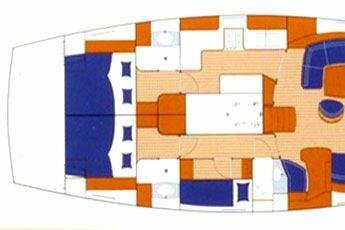 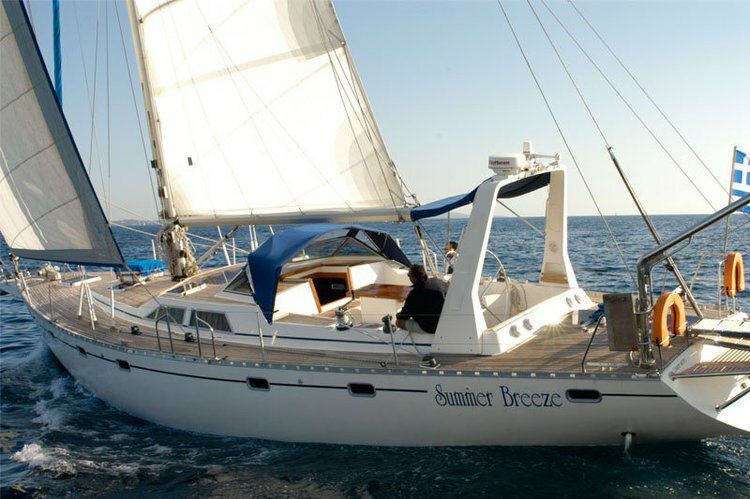 She is only available for crewed charters. 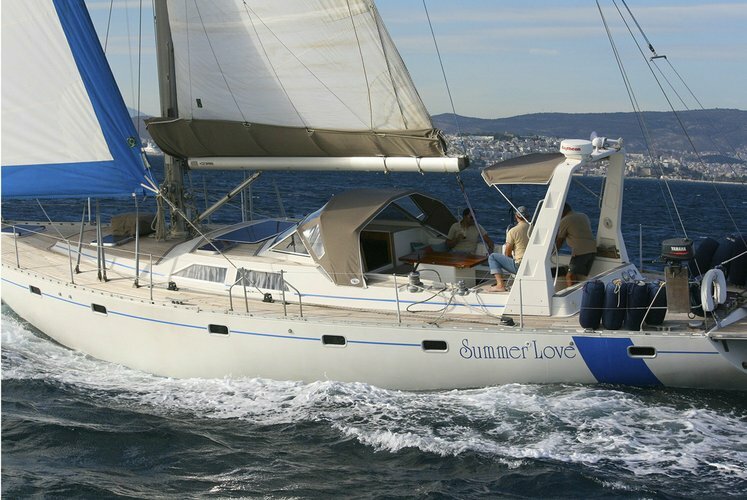 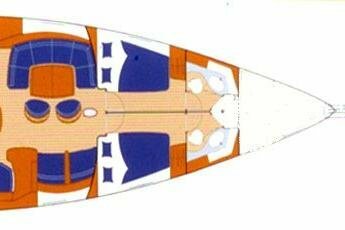 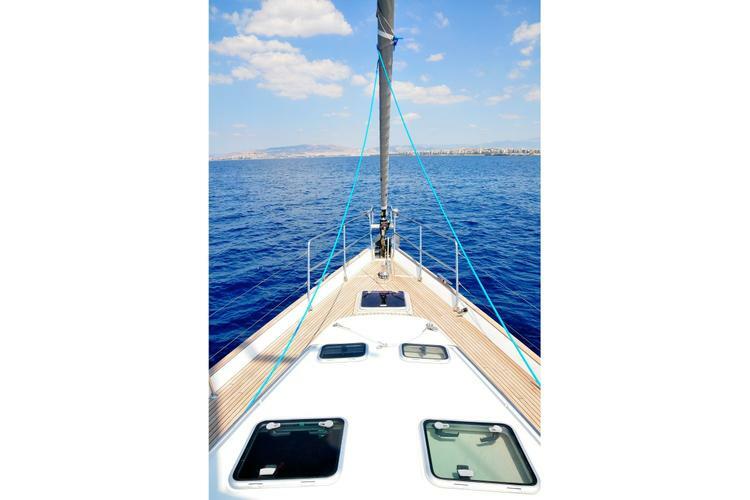 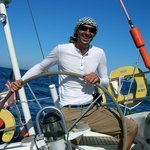 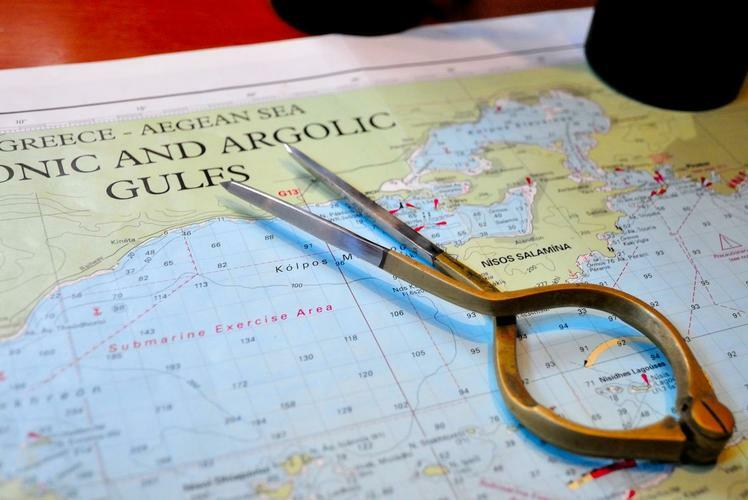 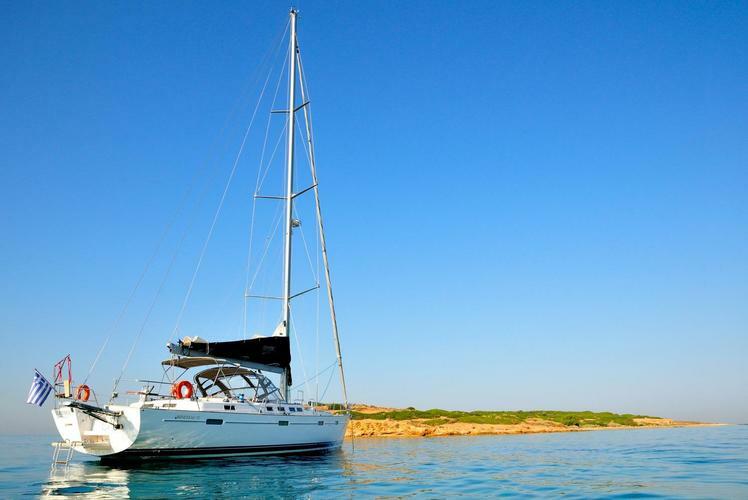 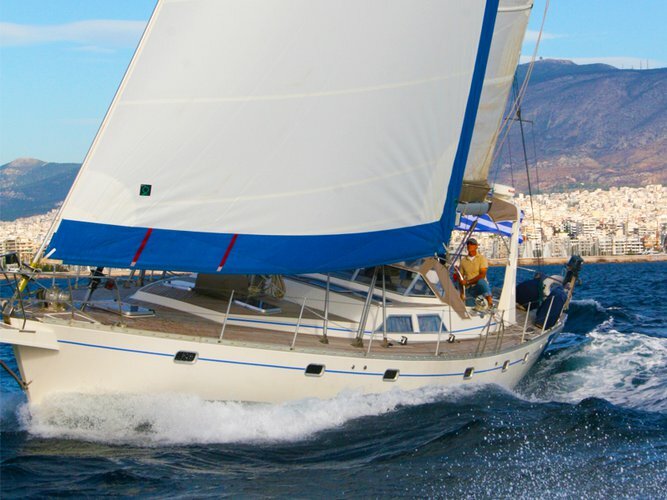 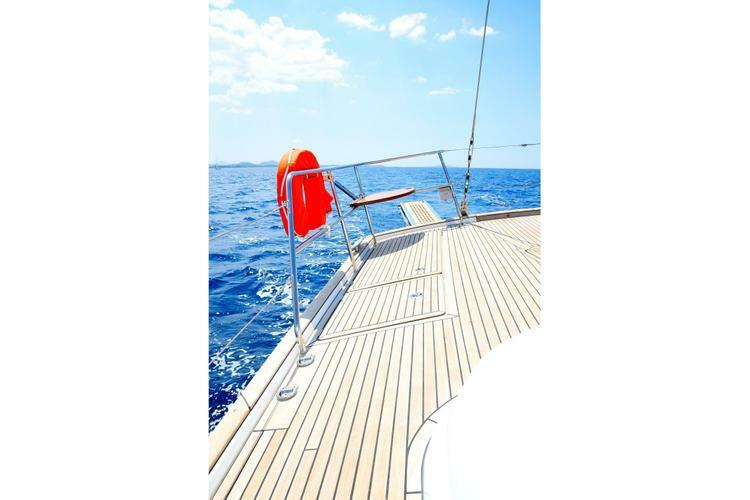 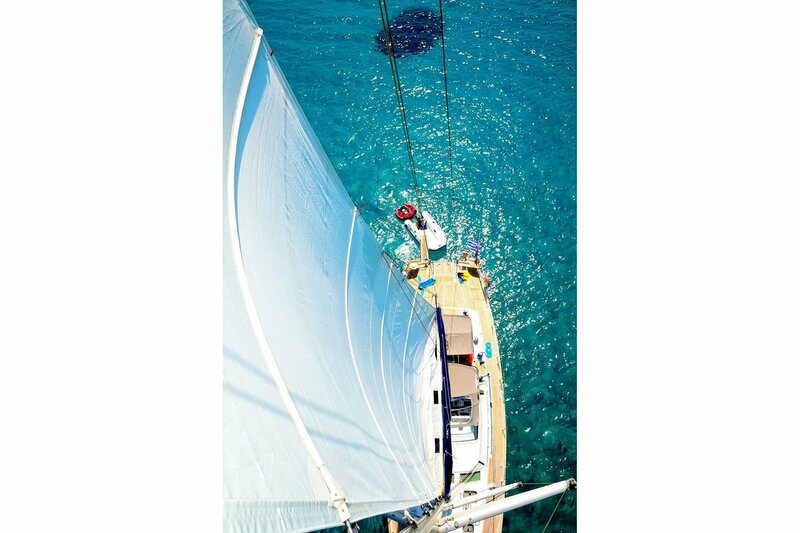 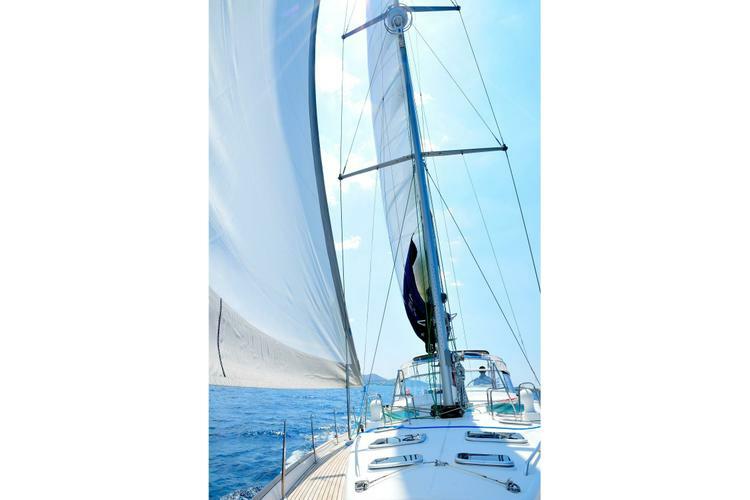 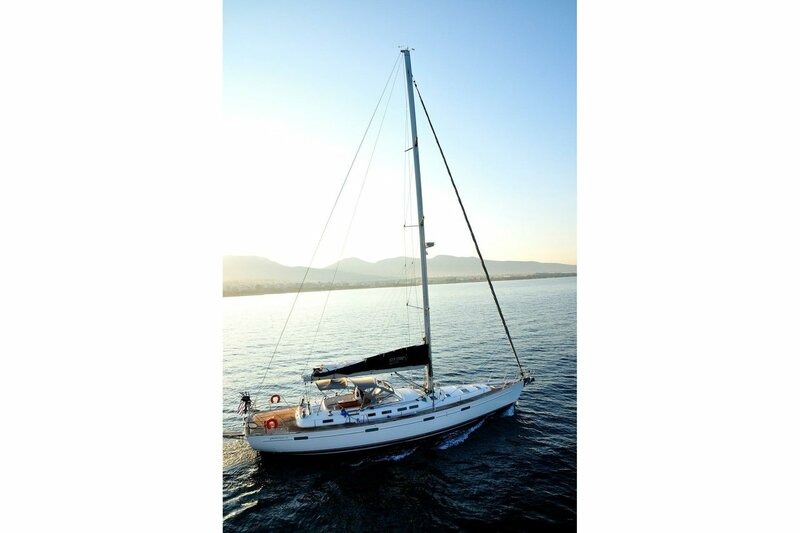 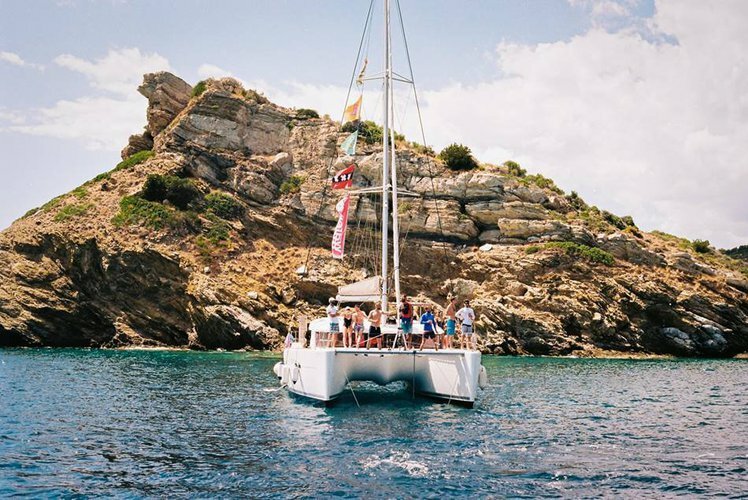 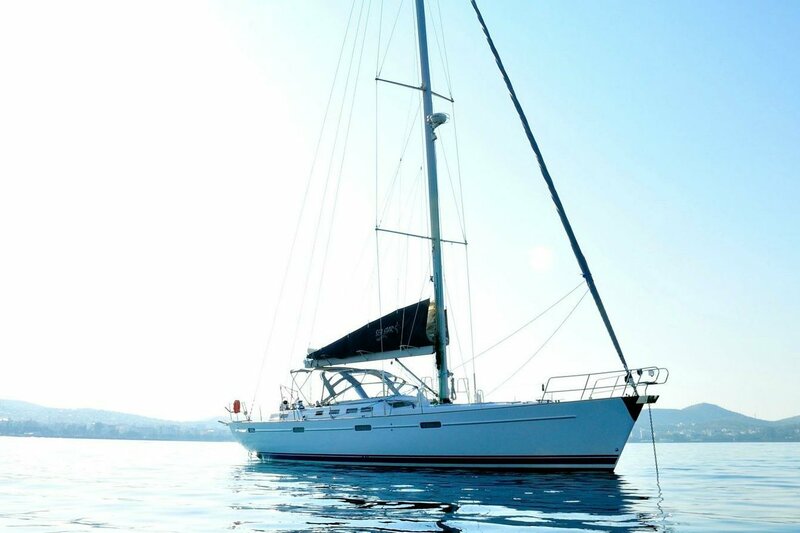 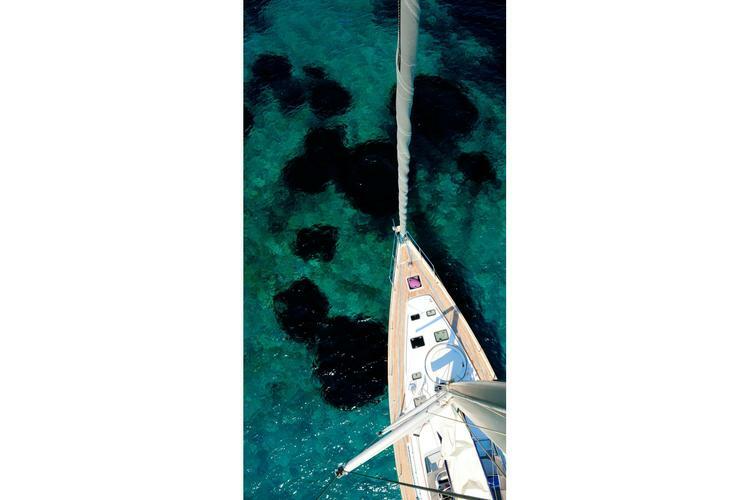 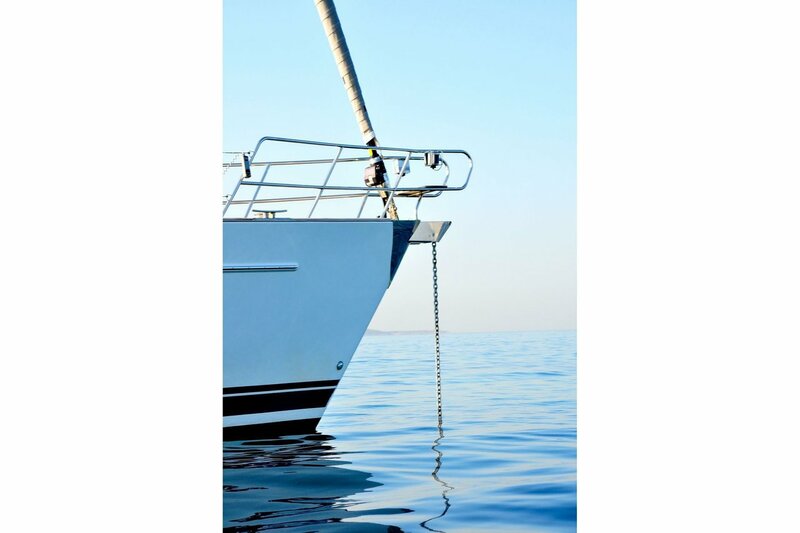 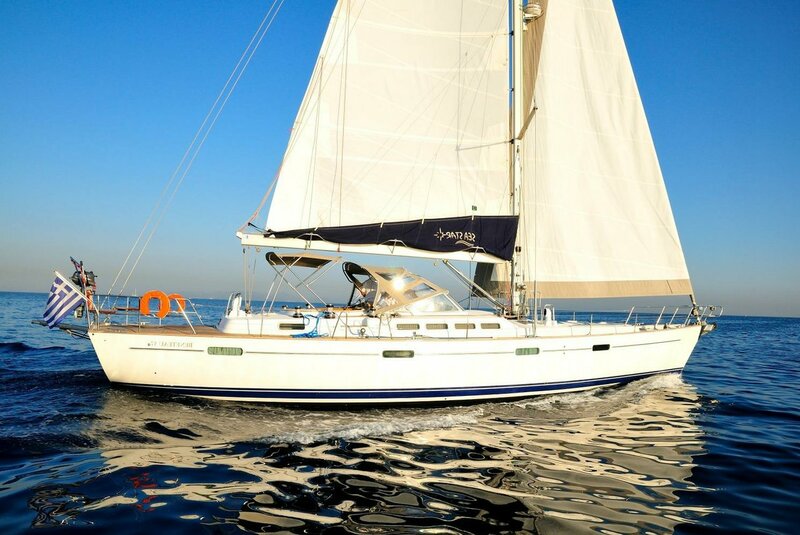 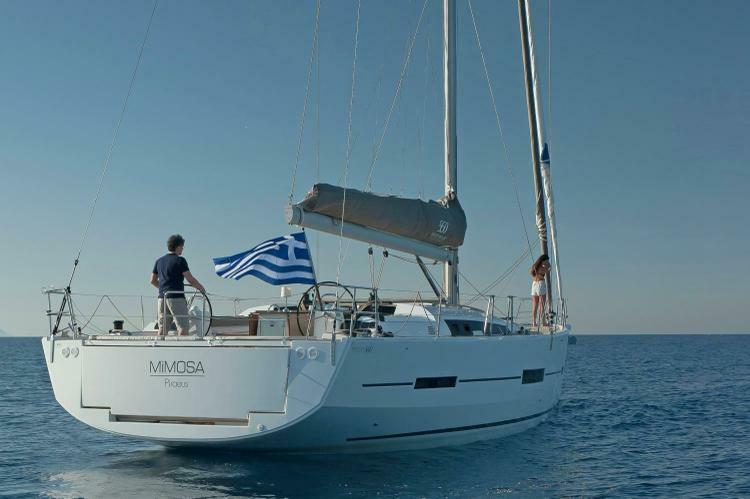 Charter this amazing sailboat and discover the beautiful Saronic Gulf, Sporades, Ionian Sea, or Dodecanese islands.